Intel’s new LGA1155 CPUs are blazingly fast and ludicrously overclockable – two traits that are sure to make bit-tech readers salivate. 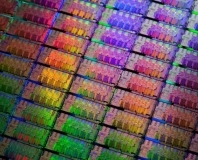 A CPU is nothing without a motherboard to unlock its potential, however, so it’s no surprise to see motherboard manufacturers fluttering their eyelashes in an attempt to secure your business. 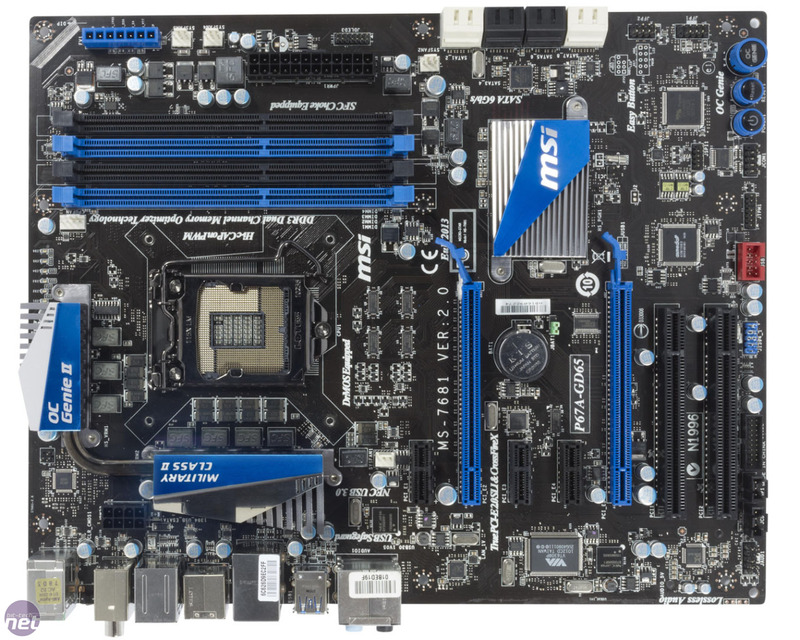 MSI’s first entry into what’s sure to be a highly competitive market is the P67A-GD65. At first glance, the GD65 looks as though it’s been stripped back to the basics, but this is largely due to the fact that the GD65’s heatsinks are less ostentatious than those of the Asus P8P67. This gives the board a slightly more austere feel, which probably isn’t what you want from your new powerhouse PC. There are valid reasons why the GD65’s heatsinks are so diminutive, though, as the board uses MSI’s clever Icy Choke technology. These chokes run up to 20˚C cooler than normal chokes and, when combined with the heat-tolerant ‘High-c’ capacitors MSI uses, they allow MSI to get away with small, compact VRM cooling. This means that there’s plenty of room around the GD65’s CPU socket, so we had none of the cooler-mounting problems we had with the cheaper P8P67. 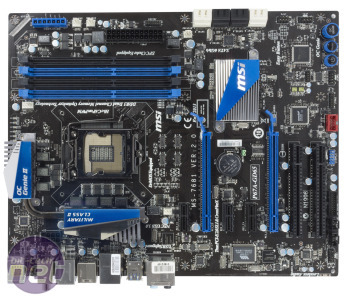 MSI has also sensibly left plenty of room between the two SLI- and CrossFire-certified 16x PCI-E slots, and important connectors such as the 24-pin ATX power socket and fan headers are located near the edge of the board. MSI has also mounted the eight SATA ports, four of which support SATA 6Gbps, parallel with the board for easy cabling. Some silly mistakes have crept into the design, however. The CMOS battery is right next to the primary 16x PCI-E slot, for example, which means that it won’t be accessible if you use a dual-slot graphics card cooler. MSI has also chosen to give all the SATA 6Gbps ports on the board the same colour, which makes it difficult to determine which two ports are linked to the P67 chip, and which to the Marvell 9128 chip. This is important, as we saw large differences between the two sets of ports. The ports provided by the P67 chipset read and write data at 295MB/sec and 227MB/sec respectively, while the dawdling Marvell-powered ports are capable of only 270MB/sec and 123MB/sec. MSI also includes a number of overclocking-friendly features, such as on-board Power and Reset switches, and a Clear CMOS button on the rear I/O panel. The GD65 even plays host to dedicated voltage readout sockets in the upper right of the board, so that extreme overclockers can check the amount of current coursing through the board. These enthusiast-level features account for some of the extra £20 that the GD65 costs over the P8P67. Can the successor to the brilliant Sabertooth X58 deliver? 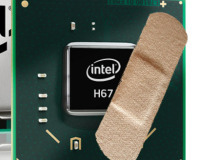 Intel gives certain PC makers the go-ahead to keep using its faulty 6-series chipsets.